THE PICKIEST EATER IN THE WORLD: The Uniqueness of Bon Chon and its Latest Flavor: CRUNCHY GARLIC! 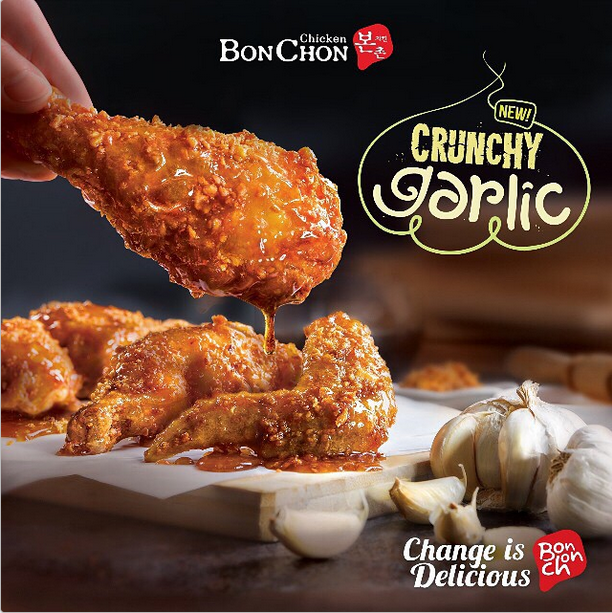 The Uniqueness of Bon Chon and its Latest Flavor: CRUNCHY GARLIC! When you think of Chicken, what’s the first image that comes into your mind? Let me guess… A juicy thigh and wing, coated in a beautiful golden breading, with a side of hot gravy, and mouthwatering sides, such as mashed potatoes, biscuits, and coleslaw? Admittedly, that seems to be the norm when it comes to fried chicken. But what would happen if you found a Chicken so delicious, it would forever change your perception of how that traditional comfort food to be. 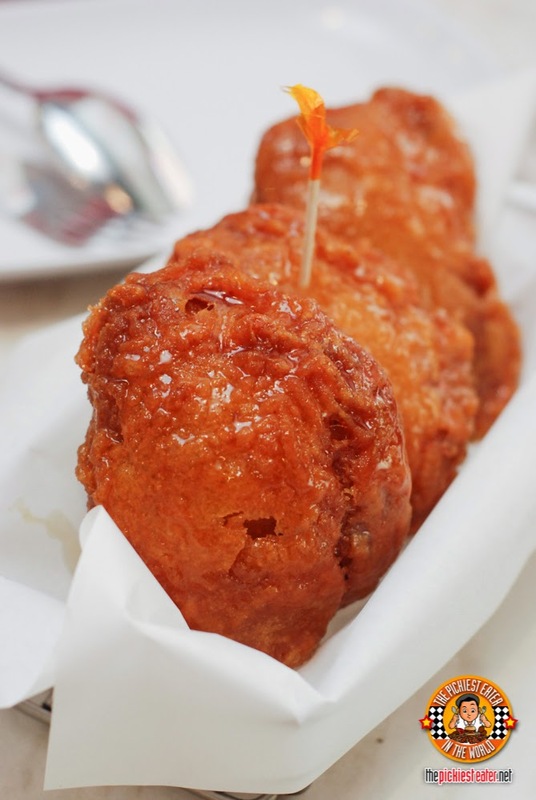 Bon Chon offers a delicious alternative to the classic Chicken, frying it twice and glazing it in a dazzling array of sauces that will constantly keep your taste buds craving for more. Wary about change? Bon Chon Chicken shows you that change can be delicious! 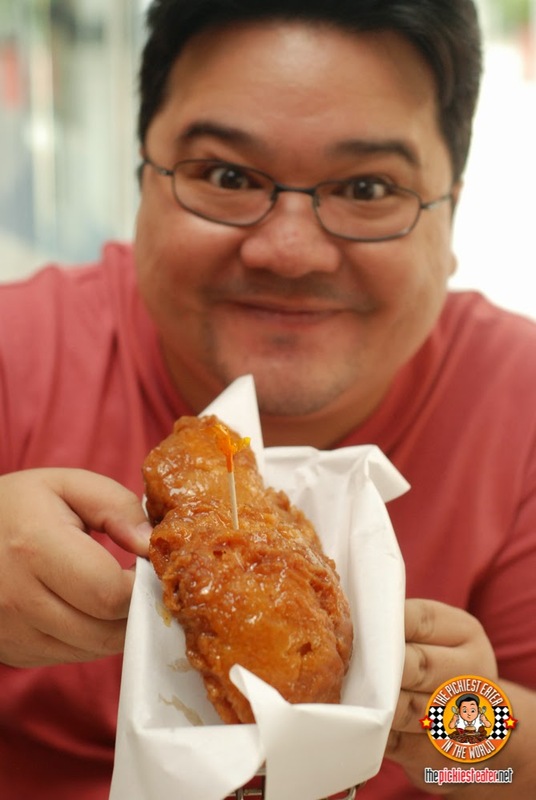 A key to Bon Chon’s success is how they are constantly innovating their menu, unafraid to try interesting fusions of flavors which keeps their adoring fans excited for the next variant to come out. Not to mention, I always get a kick out of making people try Bon Chon for the first time. The euphoric look on their face once they hit that first crunch is always a sight to see! Aside from their famous original American-Korean fusion of Soy Garlic, Bon Chon also has a Sweet and Spicy flavor, and my personal favorite, Honey Citrus. Not stopping there, Bon Chon added yet another flavor to their menu! Meet their newest flavor, the Crunchy Garlic! The crunchy chicken is wrapped in a sweet and salty glaze - a combination that my wife loves. Then a generous helping of garlic chips is sprinkled on top, adding a nice kick of flavor to the already tasty chicken. The crispiness of the skin, when melded with the crunchiness of the garlic, gives an amazing kaleidoscope of textures in your mouth! I also couldn’t resist ordering some 3 pc honey citrus thigh. I have a fondness for sweet and sour stuff so it wasn’t a surprise that I liked this one. 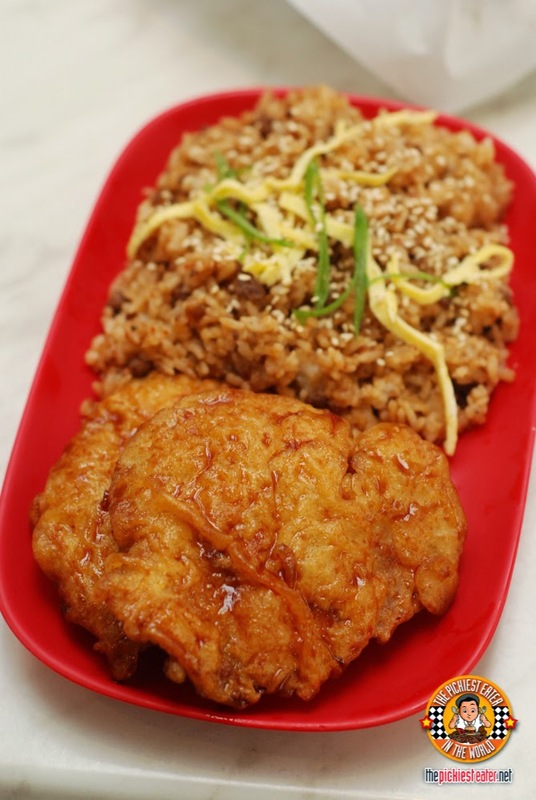 I also ordered this Chicken Chop soy flavor to go with their Seoul Fried Rice. Their chicken chop has vastly improved since I first tried it, and I ended up really enjoying it. The Seoul Fried Rice was quite delicious and filling, and I believe could be a meal in itself! 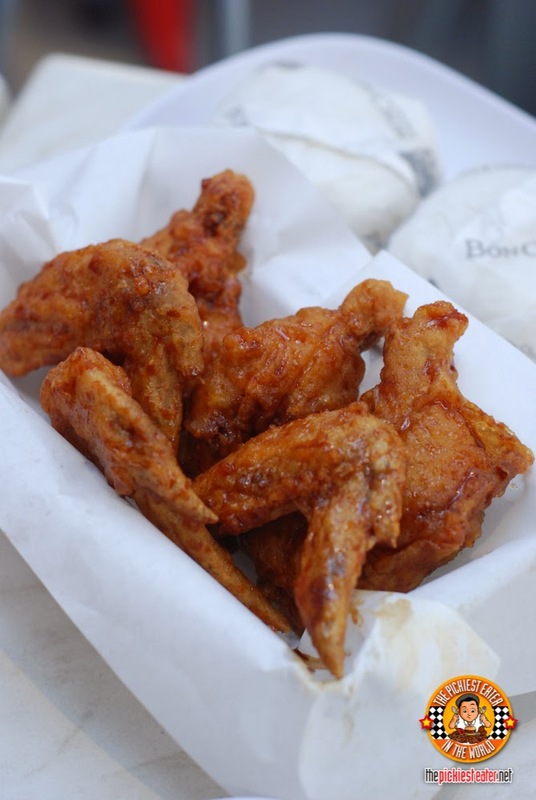 Although their claim to fame is their fried chicken, Bon Chon is so much more than that. They’ve got lots of other items in the menu too. I really enjoy their fish and chips, but they also have dishes such as fish tacos, sandwiches, seafood, rice toppings and more. As a side order, we had the Chapchae (P79). Which is actually quite delicious for its price. 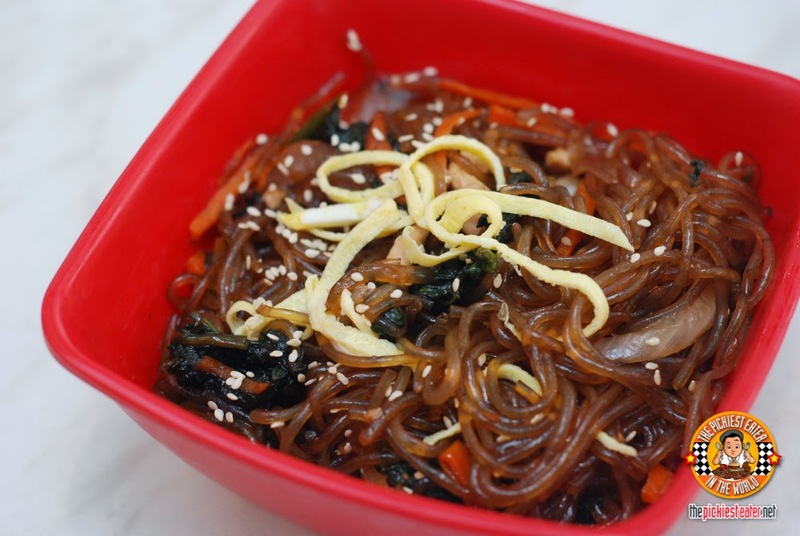 Soft but firm glass noodles with a hint of sweetness that makes it rather addicting. Rain loves noodles and she really loved the chapchae too! And as you can see. It didn’t get it back. Note to self: The little boss wins, every time. But in the end, she offered me one more bite (just so I would go away), and sealed our deal with a kiss!! 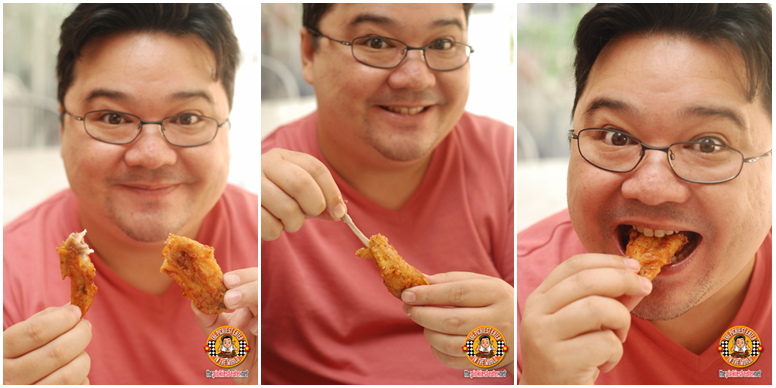 Nothing ground breaking here, but I just wanted to share how I eat my Bon Chon chicken wing. Bon Chon wings are already separated in two.. The Wing and the Drumette are considered two different pieces, and this is how I attack the wing. First, I take out the tip and save it for later. The tip is deep fried beautifully so you can eat the bone! Next, I dip my finger into the wingette, and twist out the two bones out from it. Don’t forget to bite out the meat in case there are still bits attached to the bone! This leaves the wingette boneless, making it easy to eat just like a deliciously crispy chicken nugget! I know most of us are used to the usual grilled or breaded chicken but the next time you get a good craving for chicken, give Bon Chon a try! You’ll be surprised and see that change is delicious! Believe me. Like Bon Chon on Facebook, and follow them on Twitter , and Instagram Check out their website, too: www.bonchon.com.ph. I actually love Bon Chon, my favorite is their spicy flavor. I'm going to try crunchy garlic just to see how it's different from the other flavors. lemme know what you think of the crunchy garlic! 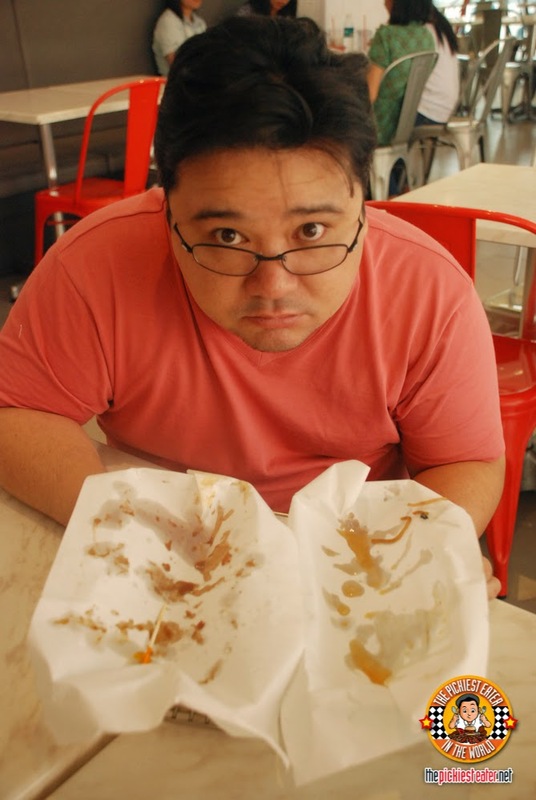 I love their Fish Fillet in Soy Garlic! I was addicted to the fish fillet for quite some time! !